Cathy Orquiola and Priscilla Chavez rank among top 20 women in Los Angeles area. The Los Angeles Business Journal has named, Cathy Orquiola, vice president and district manager, and Priscilla Chavez, manager, Diversity & Inclusion for PCL Construction to the first special supplement list of the Outstanding Women in Construction & Design. Hand-selected by the Los Angeles Business Journal’s Publisher and CEO, Anna Magzanyan, women in various roles from around the Los Angeles region were honored based on their influence in the construction and design industry. According to labor force statistics, women only account for nine percent of the construction industry workforce. 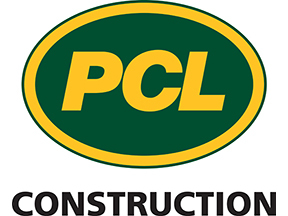 However, women represent 22-percent of PCL’s California offices – more than twice the industry average. As vice president and district manager, Cathy oversees PCL’s operations throughout Southern California, including Los Angeles, Orange County, and San Diego. With more than 24 years of experience in the construction industry, Cathy has provided leadership to teams responsible for building some of the region’s most iconic projects. Cathy was named as one of the Los Angeles Business Journal’s 500 Most Influential Leaders in LA. Priscilla Chavez, manager, Diversity & Inclusion, is a thought leader in the diversity and inclusion space and is responsible for overseeing PCL’s community outreach, workforce development, and government and labor relations efforts. As a Master Compliance Administrator, Priscilla is recognized as one of Southern California’s leading compliance professionals. Together, both women have provided opportunities for the communities in which they live and work. They make the impossible possible and have been responsible for kickstarting the construction careers of many men and women throughout Southern California.